Many parents want to know how much time their kids should be spending in front of screens, whether it’s their smartphones, tablets or TV. For years, the American Academy of Pediatrics had suggested a limit of two hours a day of TV for children and teens. But after screen time started to include phones and tablets, these guidelines needed an update. So last year, the American Academy of Pediatrics changed its recommendations: No more than one hour of screen time for children ages 2 to 5; for older children and teens, they caution against too much screen time, but there’s no specific time limit. This may give the impression that preschoolers are the only ones who need specific limits on screen time, with monitoring less important for older children and teens. Then a study came out last year suggesting that the imperative to monitor screen time for preschoolers may be overblown. However, new research conducted by me and my co-author Keith Campbell challenges the idea that vague directives and loose guidelines are the best approach. Not only does this study suggest that specific time limits on screen time are justified for preschoolers, it also makes the case for screen time limits for school-age children and teens. In fact, these older kids and teens may be even more vulnerable to excessive screen time. Several studies have found that children and teens who spend more time with screens are less happy, more depressed, and more likely to be overweight. But a study released last year muddied the waters. Using a large national survey conducted from 2011 to 2012, it found little association between screen time and well-being among preschoolers. This led some to conclude that screen time limits weren’t important. “Maybe you’re being too strict with your kid’s screen time,” suggested one headline. However, this analysis examined just four items measuring well-being: how often the child was affectionate, smiled or laughed, showed curiosity and showed resilience – characteristics that might describe the vast majority of preschool children. This study also didn’t include school-age children or teens. Fortunately, a version of that large survey conducted in 2016 by the U.S. Census Bureau included 19 different measures of well-being for children up to age 17, giving researchers a more comprehensive view of well-being across a range of age groups. In our newly released paper using this expanded survey, we found that children and teens who spent more time on screens scored lower in well-being across 18 of these 19 indicators. 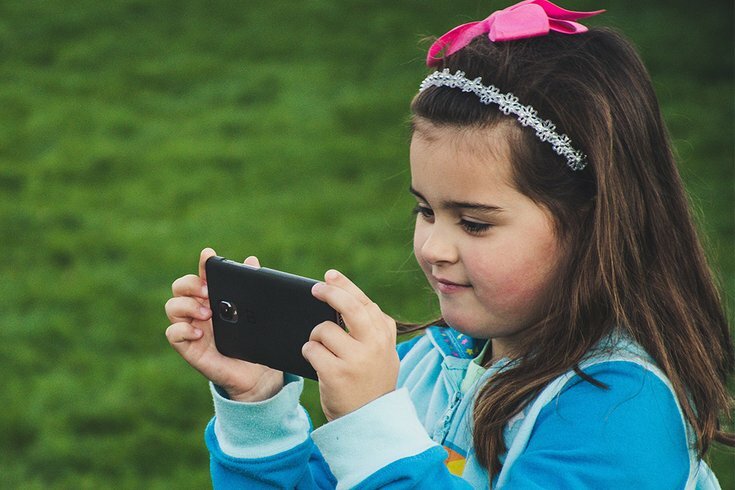 After one hour a day of use, children and teens who spent more time on screens were lower in psychological well-being: They were less curious and more easily distracted, and had a more difficult time making friends, managing their anger and finishing tasks. Teens who spent an excessive amount of time on screens were twice as likely to have been diagnosed with anxiety or depression. That’s a problem, because this generation of teens, whom I call “iGen,” spends an extraordinary amount of time on screens – up to nine hours a day on average – and are also more likely to suffer from depression. In fact, we found that excessive screen time had stronger links to lower well-being for teens than it did for younger kids. That might be because children spend more of their screen time watching TV shows and videos. This kind of screen use is not as strongly linked to low well-being as the social media, electronic games and smartphones used more often by teens. These results suggest that it is teens – not young children – who may be most in need of screen time limits. This research is correlational. In other words, it isn’t clear whether more screen time leads to depression and anxiety, or that someone who’s depressed or anxious is more likely to spend more time in front of screens. Either way, excessive screen time is a potential red flag for anxiety, depression and attention issues among children and teens. If we even suspect that more screen time is linked to depression and lower well-being – as several longitudinal studies find – it makes sense to talk about limits. Right now, the American Academy of Pediatrics recommends that the screen time of older kids and teens shouldn’t come at the expense of sleep, extracurricular activities and schoolwork. Parents should add up the amount of time teens spend on these other activities, they say, and whatever’s left could be spent in front of screens. This suggestion is problematic for several reasons. First, how can a parent be expected, each day, to calculate how many hours their kid spends on these activities? What about shifting schedules and weekends? Second, it places few limits on teens who don’t spend much time on homework or activities, and could even motivate kids to drop activities if they figure it could mean more allotted time for, say, playing video games. Even if sleep isn’t affected and homework is done, it’s probably safe to say that playing Fortnite for eight hours a day or scrolling through social media feeds during every free moment probably isn’t healthy. Parents need clear advice, and specific screen time limits are the most straightforward way to provide it. The research on well-being, including this new study, points to a limit of about two hours a day of leisure screen time, not counting time spent on schoolwork. In my view, The American Academy of Pediatrics should expand its recommendation of screen time limits to school-age children and teens, making it clear that two hours a day is a guideline with flexibility for special circumstances. Some parents may want to set a limit of one hour, but two hours seems more realistic as an overall guideline given teens’ current use. Two hours a day also allows for many of the benefits of screen time for kids and teens – making plans with friends, watching educational videos and keeping in touch with family – without displacing time for other activities that provide a boost to well-being, like sleep, face-to-face social interaction and exercise. Technology is here to stay. But parents don’t have to let it dominate their kids’ lives.